Rhinoplasty, or nose surgery, can address a number of nasal aesthetic concerns in teens. It can also fix structural issues that are affecting breathing or causing congestion. And it can be used to fix problems stemming from previous rhinoplasty procedures, such as over-resection. Teenage rhinoplasty is really no different from adult rhinoplasty. However, it is vitally important that a teen has reached full physical development prior to undergoing nose surgery. Also, rhinoplasty is a complex procedure that does have some risk. As such, teens interested in undergoing the procedure must first obtain permission from a parent or guardian. Before performing rhinoplasty on a teen, the surgeon will take extra care to make sure the teen has realistic expectations as well as the maturity to handle the risks. In some cases, the surgeon may even require that the teen receive clearance from a psychiatrist or psychologist. Am I doing this for myself? If you are considering the procedure because someone else (boyfriend, girlfriend, parent, grandparent, sibling, family friend, etc.) is pressuring you, then you are not a good candidate for plastic surgery. Are my expectations realistic? Rhinoplasty will not improve every aspect of your life. A nose job is not a panacea to the things that may be bothering you such as friendships, academics, family dynamics. Am I rushing this? There is nothing wrong with putting it off for a few years — especially if you have not reached full physical development. Again, rhinoplasty cannot be performed on a teenager until he or she has finished developing physically. If the patient or surgeon is at all concerned that the patient has not reached this stage, the procedure will have to be put off for a couple of years. In most cases, a surgeon will not perform rhinoplasty on teenage girls until they are around 15 or 16 years old. They will not perform the procedure on boys until about age 17. A good benchmark is the growth of the foot; it is not a good idea to have rhinoplasty if your foot stopped growing less than a year ago. Also, most facial plastic surgeons will take extra care to make sure that parents and/or others are not behind a teen’s decision to have rhinoplasty. The goal with any rhinoplasty procedure is to achieve beauty, harmony and symmetry. 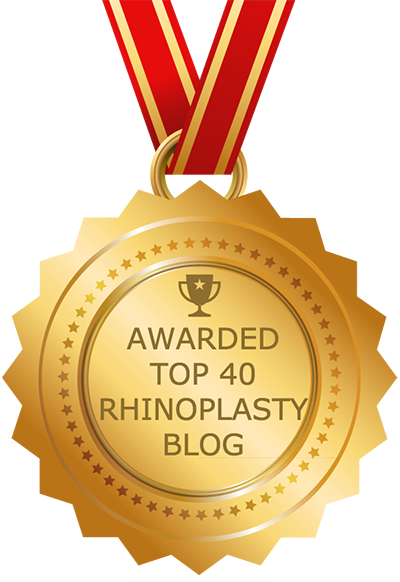 As with any patient, the techniques used to achieve this goal with a teenage rhinoplasty patient will depend on his or her specific needs. The surgery could involve techniques to shave cartilage, add grafts, straighten the nasal bones and/or septum, clear the airways or other actions, as necessary. Teenage rhinoplasty may also involve the use of special surgical technologies to promote quick recovery. This might include the use of a three-dimensional (3D) scope so that smaller incisions can be made and greater precision achieved. It could also involve the use of tissue glues and dissolvable sutures. Also, certain techniques aimed at allowing for natural drainage may be employed. And special techniques will be used to avoid undo bruising and swelling, and to avoid disturbing the blood vessels. In addition to all of these special techniques, patients under the age of 21 will receive a special kit that may include supplements to minimize swelling and other postoperative symptoms. The incisions should seal on their own within about five days. When looking for a teenage rhinoplasty surgeon, patients should pay close attention to which procedures the surgeons they are considering specialize in. Your surgeon should be a board certified facial plastic surgeon who focuses exclusively on facial plastic surgery, and more specifically, rhinoplasty procedures; the surgeon should have experience not only with teenage rhinoplasty but also revision rhinoplasty, ethnic rhinoplasty and other types of nose surgery. Also look for a surgeon that has a proven track record of positive results and a clear commitment to top-quality care and safety.